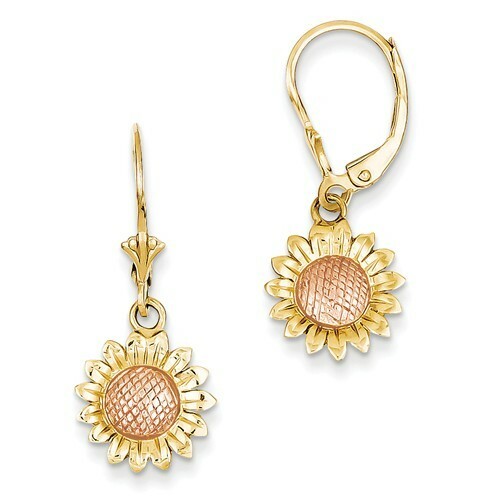 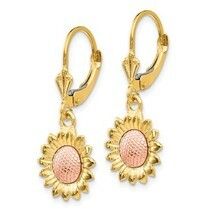 14K Two Tone Sunflower Dangle Leverback Earrings Description These cute flower earrings are crafted in solid, polished 14K Two Tone (Yellow Rose Gold) Gold. They feature two sunflowers which dangle from leverback closures. 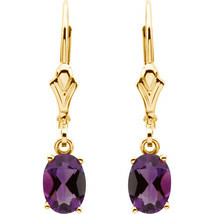 They have a textured look and measure approximately 31mm in length. 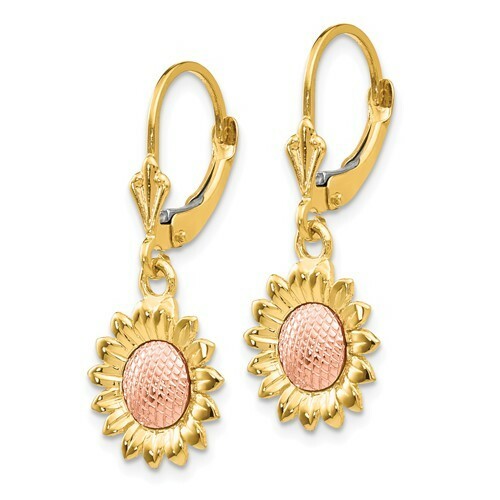 Sold in pairs Item Specifications: Length: 31mm Width: 12mm Gold Weight: 2.49 grams Have a Nice Day!